Ever dreamed of living in a house amongst the trees? The only thing visible being green foliage, basking in a golden glow that forever lingers? 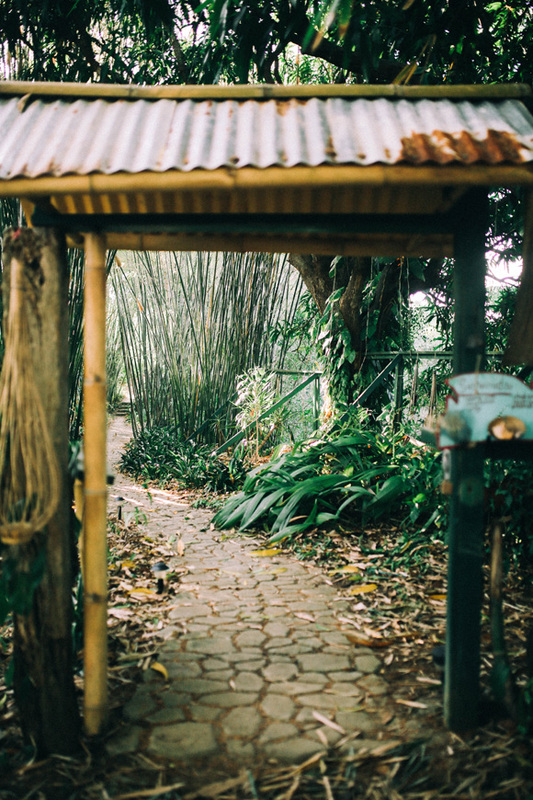 Take a 1o-minute drive into the hills of Rincon, Puerto Rico, and there you’ll find a patch of land (12 acres, to be exact) blessed by the wonderful workings of bamboo, a lush labyrinth carefully designed and planned by Jo, owner and creator of Tropical Treehouse. 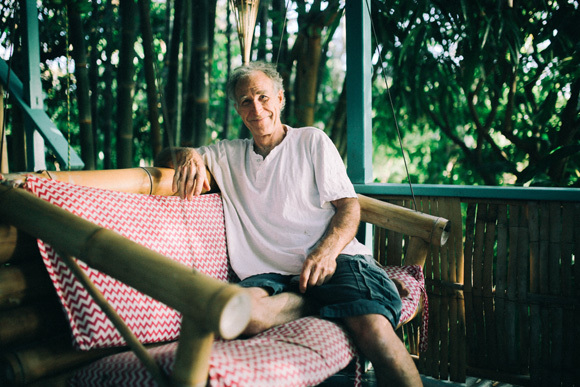 After moving to Puerto Rico and purchasing a restorable property, Jo used his artistic talents and knowledge of bamboo architecture to bring to life a lodging experience that’s quite unlike the norm. 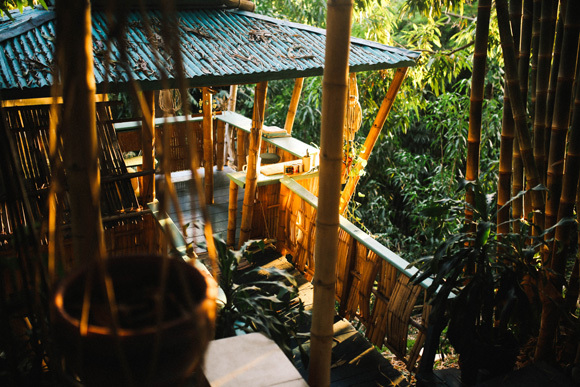 With multiple “hooches,” aka bamboo treehouses, scattered throughout the acreage, he’s created a sanctuary where guests can go off the grid, connecting with nature while still maintaining the necessary amenities. Jo’s daughter Sophie was kind enough to give us a grand tour. Along with her brother Sam, Sophie pretty much runs the show under the guidance of their father. 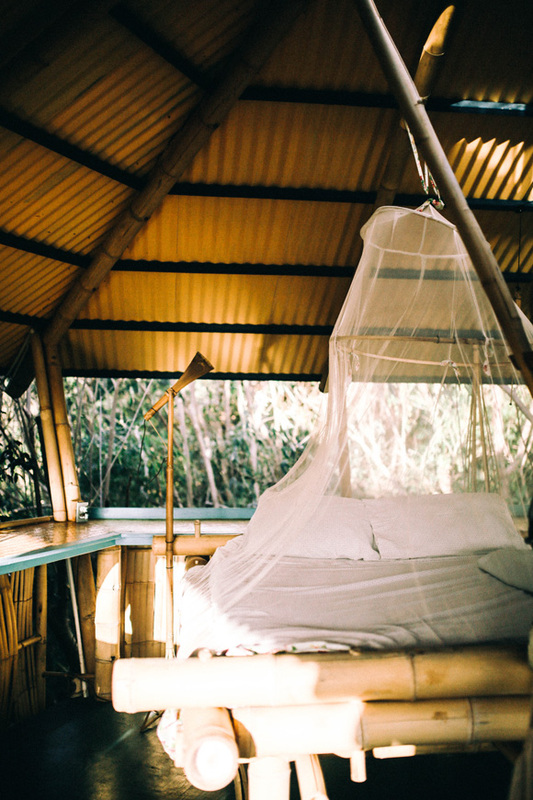 Find out how all of this came to be, and how to book a stay at Tropical Treehouses below! So tell me, how did this tropical treehouse thing start, and why did you set up shop in Rincon? We lived on a sailboat in the Virgin Islands, the sloop “bamboo,” but needed to get grounded. Puerto Rico offered cheaper land, and Rincon was close to TARS, the Tropical Agriculture Research Station in Mayaguez. It is the only station in the USDA that is devoted to tropical agriculture, and it boasts one of the largest collections of bamboo in the western hemisphere. When did you start working with bamboo? Upon arriving in the Caribbean from Wisconsin, I was enamored with the creative potential of coconut palm and, subsequently, bamboo. I began working with both mediums from the start, but bamboo soon became my focus. Is there a certain type that you grow and build with? I have over 35 species of bamboo on the property, but use only 5 or 6 species for most of my projects. These bamboos were collected from around the world based upon their utility, and planted at TARS, from where I transplanted as many as I could. 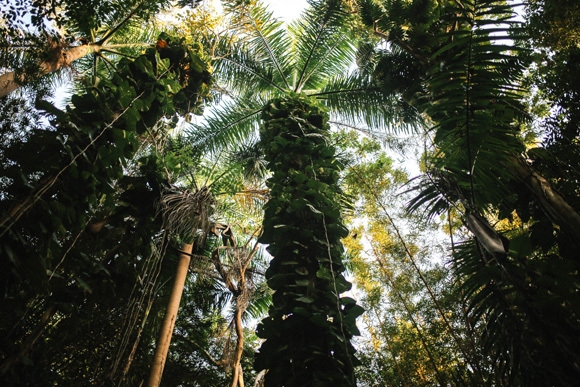 Two species are timber bamboos — big, strong, straight — Guadua angustifolia (from Colombia), and Dendrocalamus asper (from SE Asia). Other species, notably Bambusa Textilis, are used for craft and weaving applications. 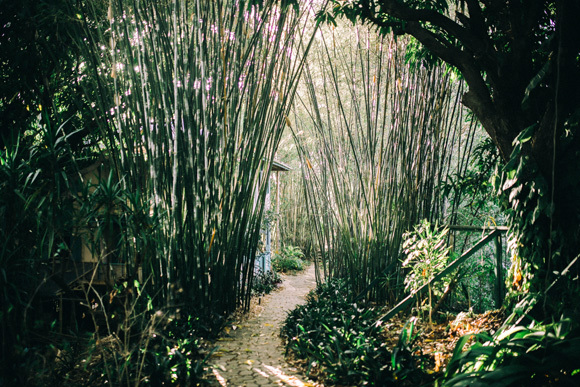 Your property is basically a bamboo labyrinth. 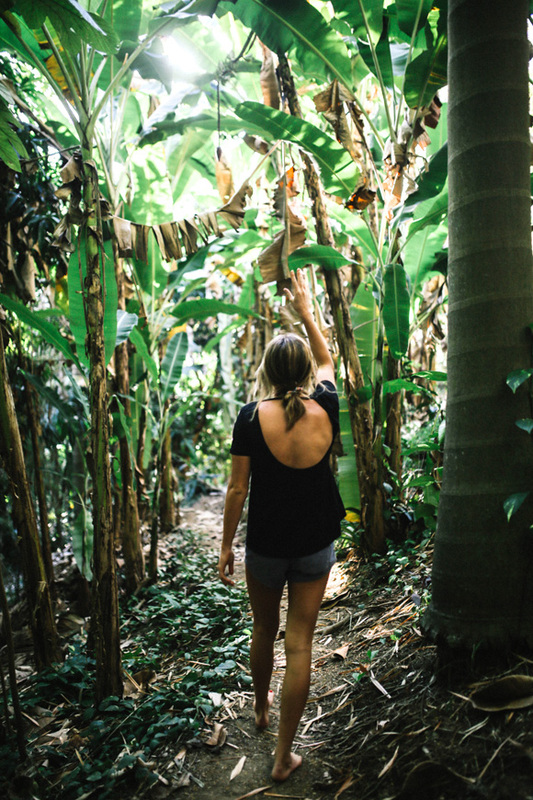 What goal did you have in mind when creating such a magical place? My goal, originally, was to restore the overused, degraded and neglected property that I just bought. Bamboo is a great plant for this end, as it prevents erosion with fibrous roots and copious mulch. 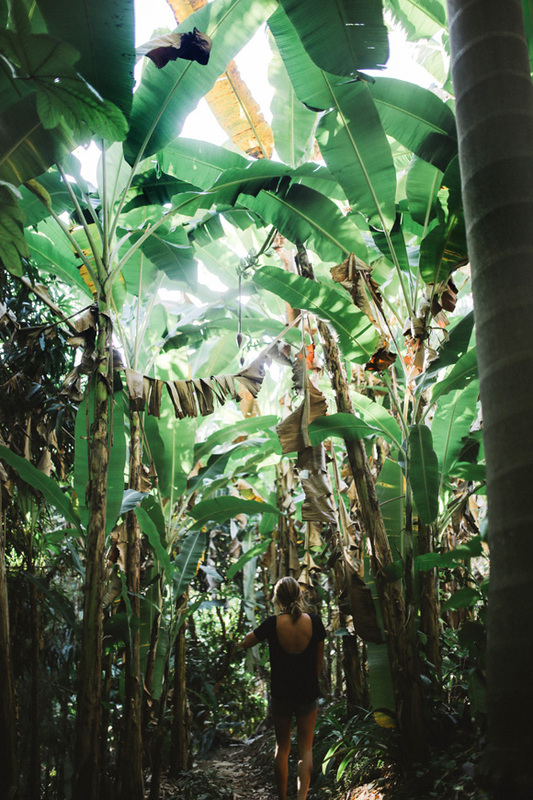 We planted fruit trees, bananas, tropical hardwoods as well, with a vague intention of creating a permaculture, self-sustaining land. The bamboo was intended to supply my addiction to bamboo architecture and craft, as it now does. 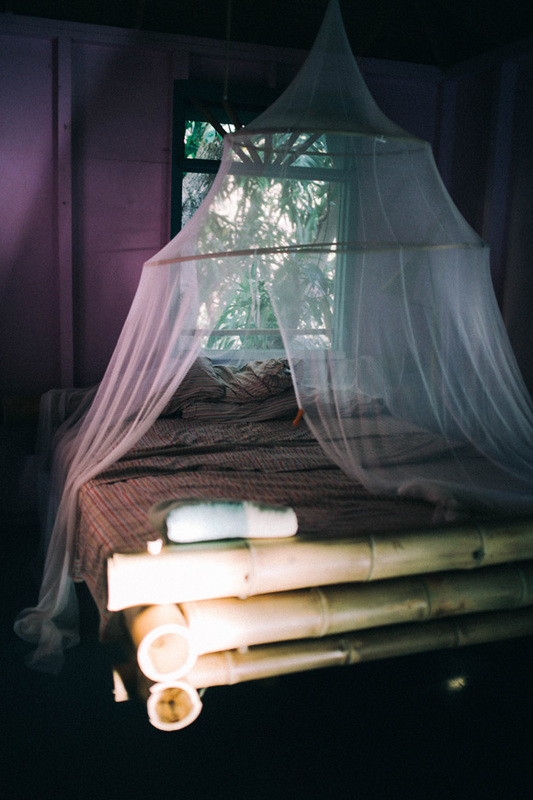 What can guests expect during their stay in one of the “hooches” (treehouses)? 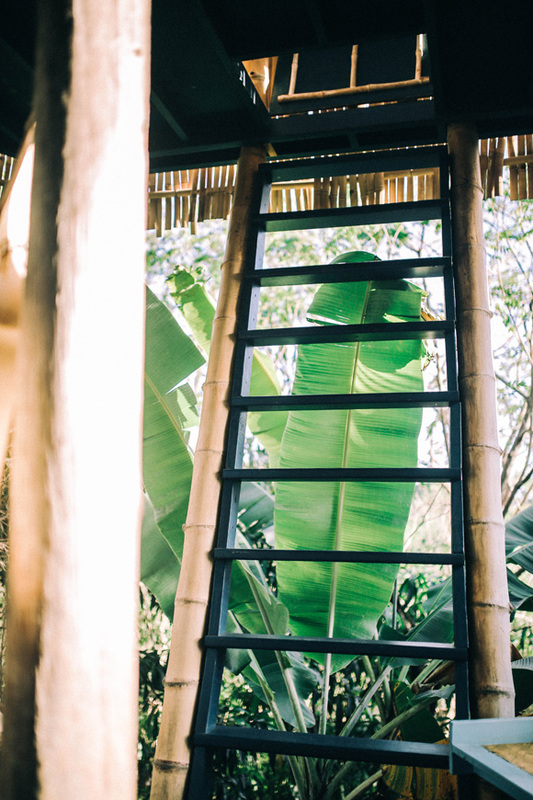 The hooch treehouses offer an opportunity to escape to a more intimate experience with the tropical environment, being completely offgrid without sacrificing amenities. It is open-air, separate and private, with a full kitchenette, cooler, solar hot water, solar electricity and a queen-size bed in the penthouse suite. 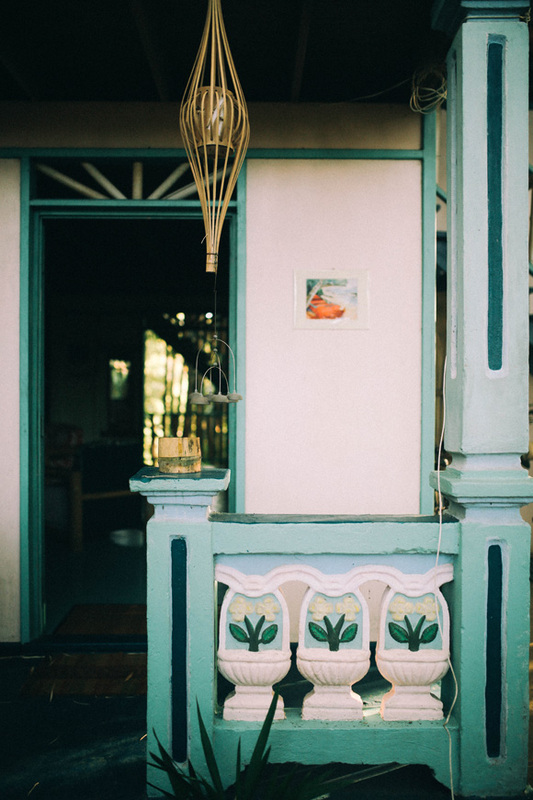 Are there any eco-friendly practices that have been implemented throughout the property? I have alluded to several eco-friendly practices — solar energy for hot water and electricity, permaculture design with bamboo, and the use of homegrown bamboo for the major architectural components of the hooches. 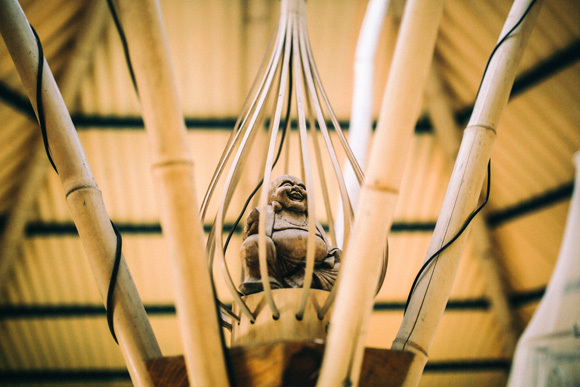 We are aware of the carbon sequestration potential of bamboo, as much as 5X more than conventional tree forests, and further that philosophy by utilizing the bamboo locally. We grow our own house. 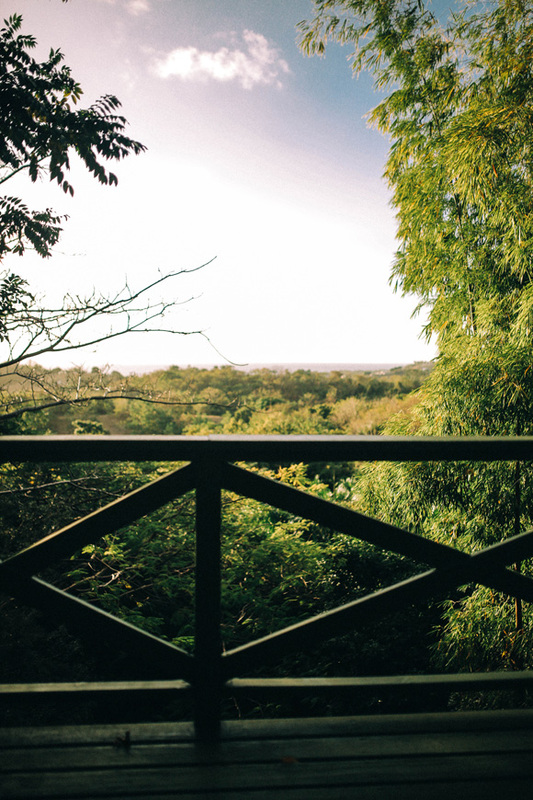 The yoga platform you built has one of the best views on the property. Any special plans for that in the future? The yoga platform is still in the design phase, but we do intend to add facilities — kitchen, bedroom, bathroom beneath the deck. 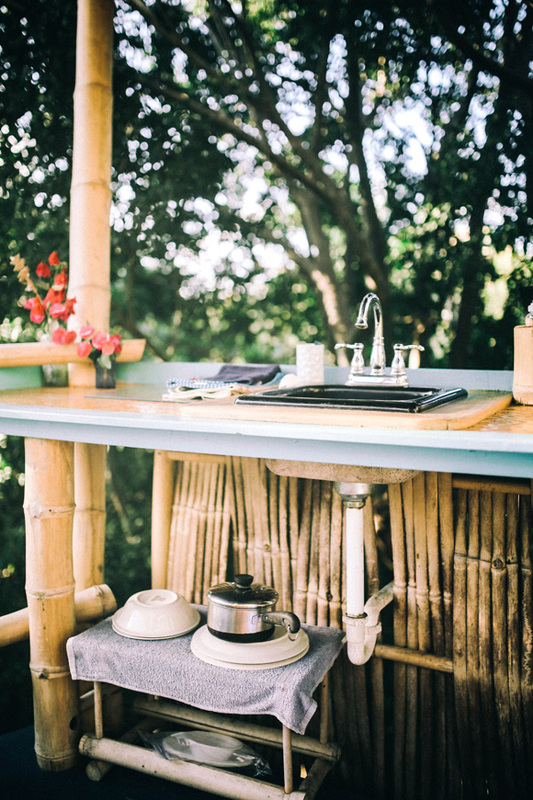 The deck itself may offer a place for tent campers initially, or may be sheltered with several potential roof arrangements. You’ve made some other interesting pieces out of bamboo that I noticed around the main house. 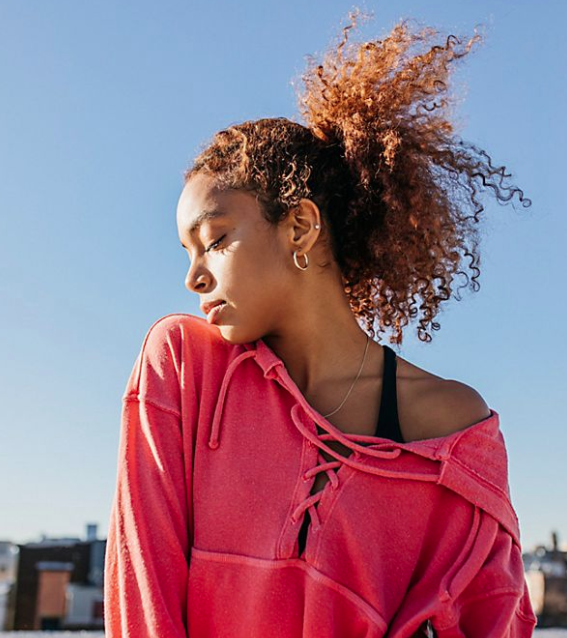 Do you sell those locally? I do sell my crafts locally, and have offered classes in the making of the designs. 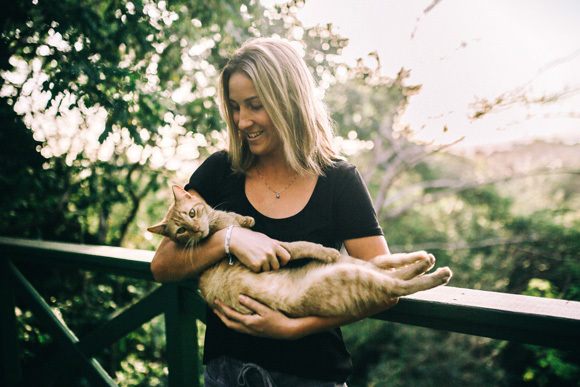 What have you learned since opening up the treehouses to the public and running your own business? 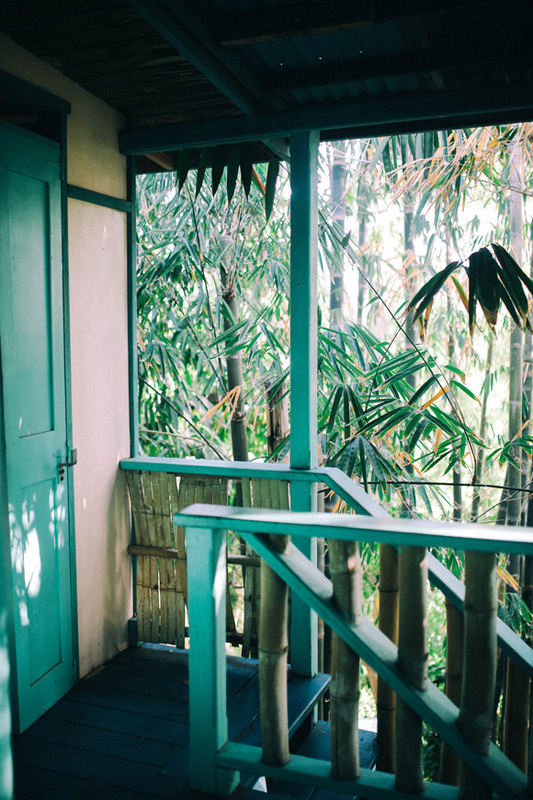 Renting out the treehouses has been a very gratifying experience — meeting new people from diverse backgrounds but sharing an appreciation of nature and bamboo. The business continues to grow, and now attracts a loyal following of not only North Americans, but travelers from around the world. And, we have been discovered by local Puerto Ricans, with advertising largely a result of “word of mouth”. This phenomenon keeps us busy throughout the year, as the locals vacation in the summer, and North Americans come down in the winter. 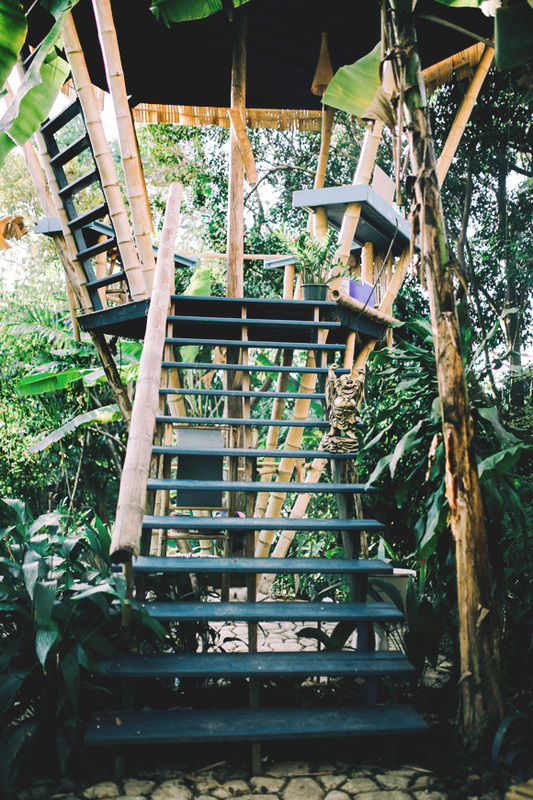 What’s next for Tropical Treehouse? I am currently building another small hooch, with several new concepts to refine the structure. After that, I have a design for a large hooch, the dimensions and details of which are totally visually illustrated in a 3D digital format, and accessible via smartphone. The platform offers a readily understood, pre-fab design that ultimately makes the building process easier and economical. Stoked! +Interested in saying at Tropical Treehouse? Visit their website here, and check out their listing on Airbnb! Stay tuned for more content from Puerto Rico. 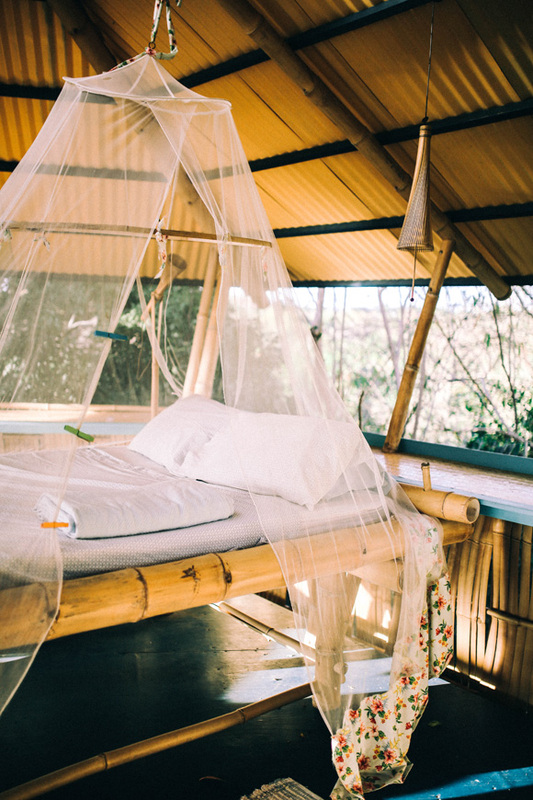 How magical – I would love to stay a night in such a wild, and lively and beautiful place! This looks incredible! And I love how eco-friendly this is, too! I’m crushing so hard on this getaway bungalow! So beautiful! Wow….it looks like pure heaven. Wow beautiful place to just lay down and relax with the nature. We must preserve nature from urban growth.